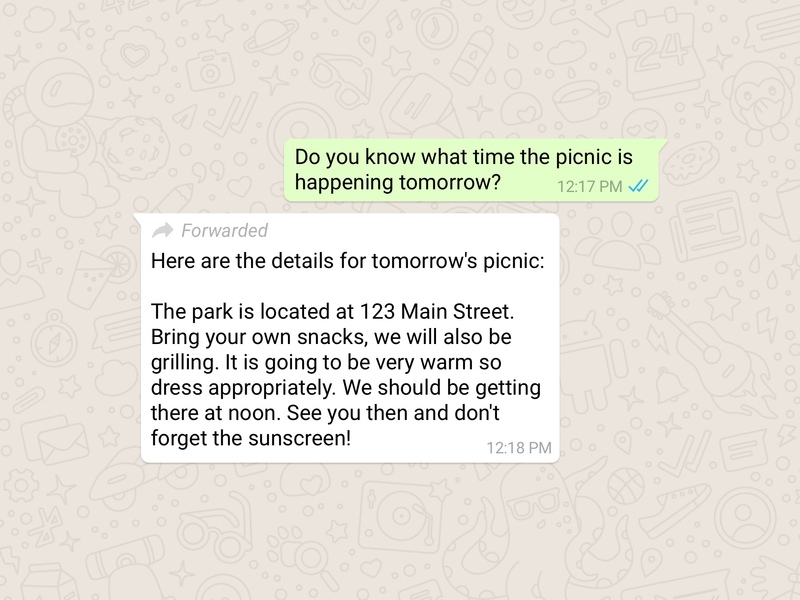 Last year, users around the world found they could only forward messages to 20 chats at a time. Those could include a single person or a group of up to 256 people. The only exception was India, where the limit was set to five chats. Now, everyone will have the five-chat limit. In addition, forwarded messages will include a label marking them as such. If you try to share a message with more than five chats, you'll get an error message. 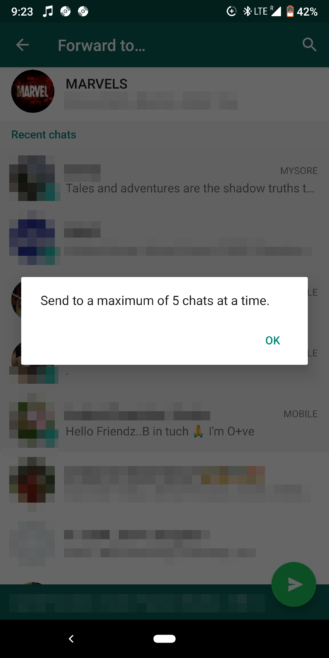 You can, however, send the message to more than five chats if you do it in batches. This change just makes the process more arduous. It's unclear if the limits make a dent in the spread of misinformation—Facebook doesn't release data on such things, so we're left to wonder.